« And we're back! with new features? UPDATE! DeafNala has decided to use the Tabletop Geeks galleries for hosting photos of his work. 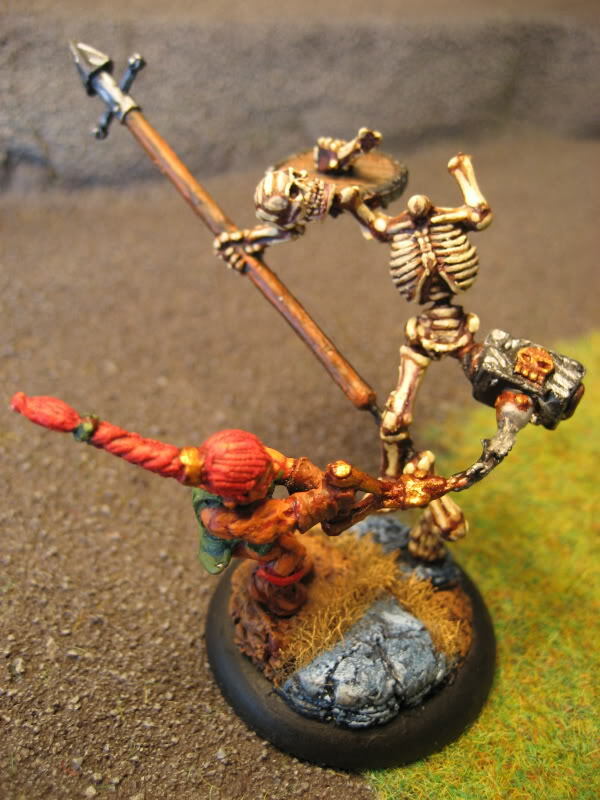 You can see tons of his stuff over at The Mercenary Minis of DeafNala… & Stuff. Yesterday I promised you a new feature and today I deliver! Our new feature will be interviews with prominent community members and hobbyists displaying their works and letting you get to know them in the process. There were a couple of reasons behind this idea. The first was simply to highlight some great works and to get to know the people behind them. The other big reason was to give people ideas, inspirations, and maybe even some tips from people who are experienced hobbyists. 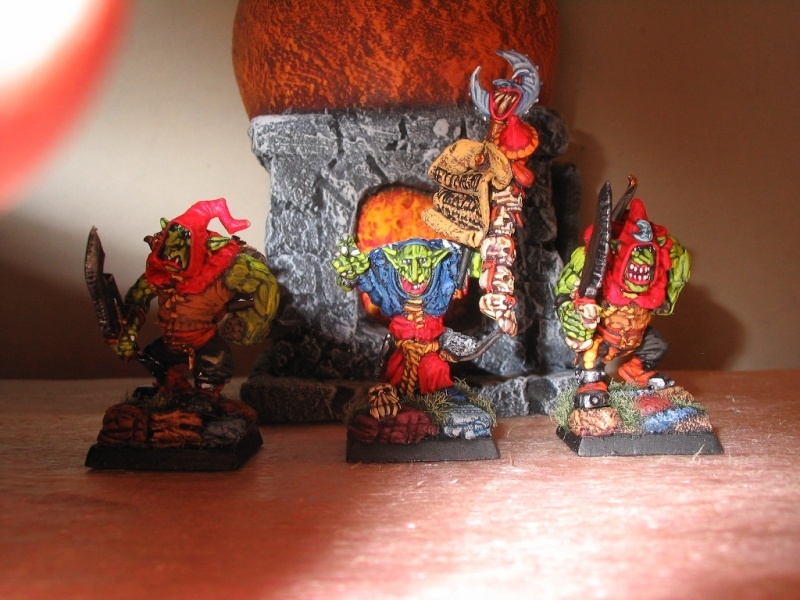 The very first of our interviews is with a man who really needs no introduction to anyone familiar with Tom’s Boring Mordheim Forum. For those of you who are not familiar, DeafNala is a very important part of the community over at Tom’s. He is a moderator and one of the most active members. 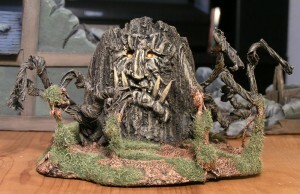 He does a LOT of work with creating terrain and painting models, and in fact many members own at least one of his works. So, here you go… an interview with DeafNala! Alan Preuss…My Mom thought “Alan” was a cool name that was short enough that no one would feel it necessary to shorten it further. Of course, ALL my friends call me “Al”. Vespusia…actually, the little town of Sound Beach out on Eastern Long Island, which is nominally part of New York…at least for the moment. 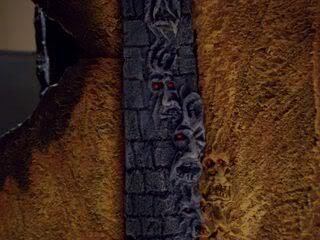 Various bits of scenery, including a demonic beer keg! 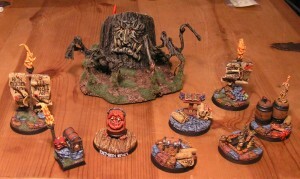 Professional CRAZY Old Man: I paint minis & make scenery on commission to supplement my Social Security Disability stipend. How long have you been interested in the tabletop hobby and how did you get into it? I’ve been doing this stuff for the last 47 years. It all started when a friend got a book on War Games by Joe Morschauser as a Christmas present. Fat, dumb, & happy I wandered into Lee’s Hobby Store & asked about some Britain’s minis for The Game…the rest is History. What games do you play? What armies do you play in those games? Well…to be truthful, which is something I usually try to avoid, I don’t REALLY play anything other than a VERY occasional solo game. The last time I crossed dice over a gaming table with a more or less live opponent was nearly 30 years ago. I DO, however, have a fairly substantial number of Night Goblins for Mordheim & WHFB PLUS a bunch of 40K Orks AND some Wyrd minis for Malifaux. Do you have any rituals while modeling/painting such as listening to specific music? I sacrifice Rubber Chickens to the Goblin Goddess, Maude: Patroness of Mushrooms…no, huh?! Since I can no longer hear music…that’s where the “Deaf” in DeafNala fits in…I play back songs suitable to the occasion from memory AND, all too often, sing them…my sons are not thrilled with this. What are some of your influences or where do you draw your inspiration from? Close up of the demonic tree. Drug flashbacks from a youth misspent in the 60s. Other than that I draw on a vivid imagination & films like The Brotherhood of the Wolf, The 13th Warrior, Nightmare Before Christmas, The Corpse Bride, Labyrinth, stuff like that. Are there any books, movies, art, or other sources that have had an impact on your work? Whose work has had an impact on you and your projects? I guess I answered the movies thing above. Tim Burton & Jim Henson’s work are my main inspiration along with Dave Andrew’s concept pieces & models. I’ve recently developed a liking for John Blanche’s concept art…this might be a sign of imminent senility though. What is your favorite piece that you’ve done or what are you most proud of? What do you like about it? I don’t have a very high opinion of my own stuff…or me for that matter. If I had to pick out something, my Goblin & Ubergoblin characters are probably my favorite pieces…they personify my sense of the absurd. What is your favorite piece that someone else has done? What do you like about it? Duce’s One Eyed Worm & cianty’s Gorka Liza…I got these as presents, making them cherished objects. What is your favorite part of the hobby? Do you prefer working with terrain or miniatures? 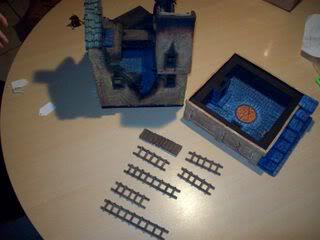 Yes…I LOVE making Mordheim style buildings AND then making minis that might inhabit them. My terrain is generally considered better than my minis. If I could ONLY do one or the other, I’d make terrain. What technique has given you the most trouble? Do you have any tips for someone else who might be struggling with it? I have trouble unscrewing the paint caps. I would advise anyone with a similar problem NOT TO USE THEIR TEETH to open the jars. Are there any areas that you’d like to improve on? There’s ALWAYS room for improvement in EVERYTHING. What projects are you working on currently? What would be your dream project? minis, & an open ended Mordheim project PLUS my own Pirate Islets & Never Ending Goblin thingys. Painting a 100,000 point Ork army with scenery for Mariah Carrey would be a possible Dream Project. What tips, tricks, or advice can you share with us? Are there any special brands or materials that you use that other people might not know about? I have a LOT of bad habits as far as modeling/painting that work well for me; to really answer the question would take quite a long time…I DO give specific methods to specific questions, however; SO a PM would do the trick. What other hobbies do you have outside of tabletop gaming? I LOVE baseball & rooting for losing teams, cooking potentially lethal foods, The Family Guy, & movies with closed captioning. Anything else about yourself that you care to share? Do you have a website that people can check out if they are interested in knowing more about you or seeing more of your work? Thanks so much to DeafNala for being our first interview! I already have ideas for future interviews if they’ll do it so hopefully we’ll have more soon. Please let us know what you think of this new feature. If you have any suggestions for questions you’d like to see asked or people you’d like to see interviewed feel free to contact us or leave your comments here. This entry was posted	on Wednesday, November 4th, 2009 at 11:47 am	and is filed under Interviews. You can follow any responses to this entry through the RSS 2.0 feed. You can leave a response, or trackback from your own site. I look forward to your next interviews. Cool stuff! is there a link on Tom’s forum to this interview ? Alan is an awesome guy and his work is unique and inspiring. Simple like that! Powered by WordPress v 5.1.1. Page in 0.979 seconds.